Stunning Large Saucer Hat from Nigel Rayment, Dressed with a Whirlpool of Peacock Sword Feathers, and a Flowered Centre of Lime Goose Feathers. 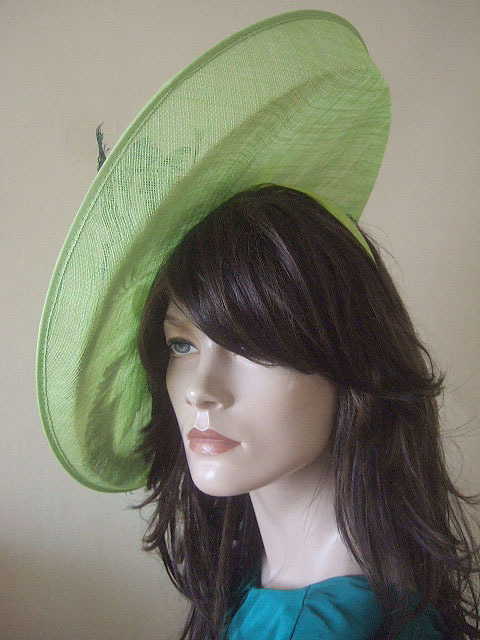 Fits all sizes with the Satin Lime Green Alice Band under the saucer. .
Attaches by Lime Green Alice Band under the Saucer.